Acrylic is also named PMMA.Due to the shortcomings of PMMA surface hardness, easy wiping, low impact resistance and poor molding flow properties, PMMA modification has appeared one after another. 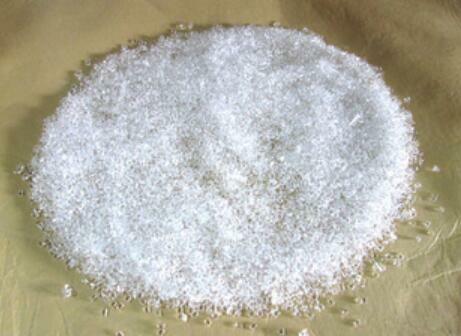 For example, copolymerization of methyl methacrylate with styrene and butadiene, blending of PMMA with PC, etc. PMMA has a certain water absorption, its water absorption rate is 0.3-0.4%, and the injection molding must be below 0.1% humidity, usually 0.04%. The presence of moisture causes bubbles, gas ray, reduced transparency, and the like in the melt. So need to dry it before injection molding. The drying temperature is 80-90 ° C and the time is 3 hours or more. Recycled materials can be used 100% in some cases. The actual amount depends on the quality requirements, usually over 30%. Recycling materials should avoid contamination or affect transparency and finished product properties. PMMA doens’t have special requirements for injection molding machines. Because of its high melt viscosity, deeper grooves and larger diameter nozzle holes are required. If the strength of the product is required to be high, it is necessary to perform low temperature plasticization with a screw having a large aspect ratio. In addition, PMMA must use a hopper dryer to store material. For products with a wall thickness greater than 4 mm, the diameter of the runner should be 8-12 mm. The depth of the edge, sector and tab gate should be 0.7 to 0.9t (t is the wall thickness of the product). The diameter of the needle gate should be 0.8 to 2 mm; for low viscosity, a smaller size should be used. Common venting holes have an inner depth of 0.05 and a width of 6 mm, and the draft angle is 30′-1° between the cavity portions 35′-1°30°. It can be measured by the air-to-air injection method. it is usually from 210 ° C to 270 ° C depending on the information provided by the supplier. Move backward the nozzle base, the nozzle of injection molding machine is separated from the main sprue bushing of mold, and then plasticize and injection in manual mode. fast injection speed can be used, but to avoid high internal stress, multi-stage injection can also be used, such as slow-fast-slow, etc. When spraying thick parts, slow speed is needed. If the temperature is 260 ° C, the residence time should not exceed 10 minutes. If the temperature is 270 ° C, the residence time should not exceed 8 minutes.